What is Dizziness, Vertigo and Imbalance? Vertigo is a disturbance that causes an individual to feel sensation of rotational movement or other illusion of movement such as tilting, floating, impulsion, unsteady, or loss of balance. Symptoms can last several days or if not properly diagnose or treated, a person can continue feeling symptoms for years. Dizziness is the second most common complaint heard in doctor’s offices. The portion of the inner ear responsible for balance is the, ‘vestibular system,’ many times referred to as the, ‘labyrinth.’ To maintain the position of your body, the labyrinth interacts with additional systems in your body such as your bones, joints, or eyes. Good balance is important to help you move around, remain independent, as well as pursue activities of daily living. Vertigo is generally caused by an inner ear disturbance, but can also be caused by a central (brain) disturbance. When dizziness is not present, most imbalance is central. In older patients, multisensory disturbances are the most common. Imbalance refers to unsteadiness leading to increased risk of fall. Imbalance commonly accompanies dizziness, but can also be independent. Vestibular Assessment is a variety of balance and vestibular tests to assist the physician to determine the disease or disorder that may be contributing to the balance problem or causing vertigo. The purpose is to determine if there is something wrong with the vestibular portion of the inner ear, to detect central disorders, to decide if more expensive tests like MRI (Magnetic Resonance Imaging) are needed, and to document objectively vestibular conditions. Vestibular function tests are performed on patients with various disorders of the peripheral vestibular system and the central nervous system. 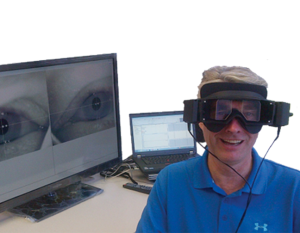 We conduct a variety of tests that include the use of infrared video goggles and additional specific equipment. Together they enable the clinician to analyze the information about the vestibular system, inner ear, eye movement and its connections to the brain to assist the physician in determining the cause of the dizziness. At Sense of Hearing we have professionals available to assess your situation, interpret the results and generate a report to the referring physician with recommendations.